The Society for Immunotherapy of Cancer (SITC) unveiled our new website, Cancer Immunotherapy CONNECT, Powered by SITC this month. Featuring a robust online community platform that directly connects stakeholders of the cancer immunotherapy field in ways never before achieved, Cancer Immunotherapy CONNECT is the premier online hub. Through Cancer Immunotherapy CONNECT, users can access a vast array of cancer immunotherapy-related resources via a unified online community, improving communication and furnishing valuable information about the exploding field. SITC members are now enrolled in the Open Forum community. Visit the site at www.sitcancer.org, sign in using your current credentials, create your profile, connect with colleagues, join the conversation in the community, and exchange scientific information with experts through the SITC Resource Library. Open Forum members receive a Daily Digest capturing the community’s activity so you can stay informed if you have not checked in for a while. For those of you who are not SITC members, we encourage you to join. However, nonmembers are welcomed and encouraged to participate in the Open Forum community. Simply create a profile and join the conversation. Cancer Immunotherapy CONNECT is the source and resource for all things cancer immunotherapy related. 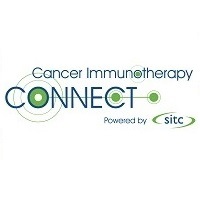 Coming this spring to Cancer Immunotherapy CONNECT is connectED, SITC's new educational community that will connect users to live and online educational offerings with continuing education activities. ConnectED will utilize an adaptive educational environment that will become the go-to learning portal for patients, practitioners and researchers seeking personally curated activities and resources focusing solely on cancer immunotherapy. In closing, this type of comprehensive community dedicated to cancer immunotherapy that brings patients and the cancer care team together does not currently exist. SITC is thrilled to offer this open-access and free expansive resource to all. Cancer Immunotherapy CONNECT and connectED will shape the future of cancer immunotherapy research.